The 1st joint trials of the CADDY project are starting right now at Biograd na Moru, Croatia. 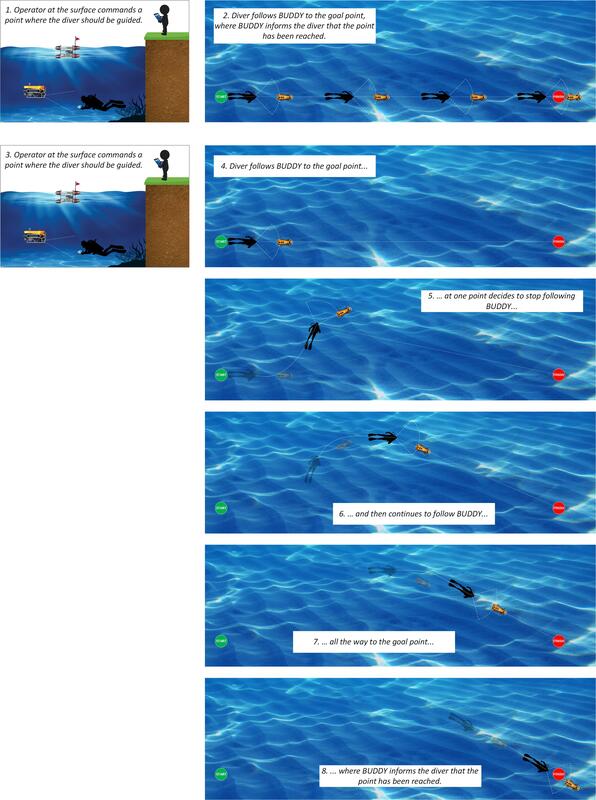 CADDY addresses the challenging problem of human diver /robot interaction in the marine world. Experiment 1 – Video mosaicing of a given area triggered by commands issued by a human. 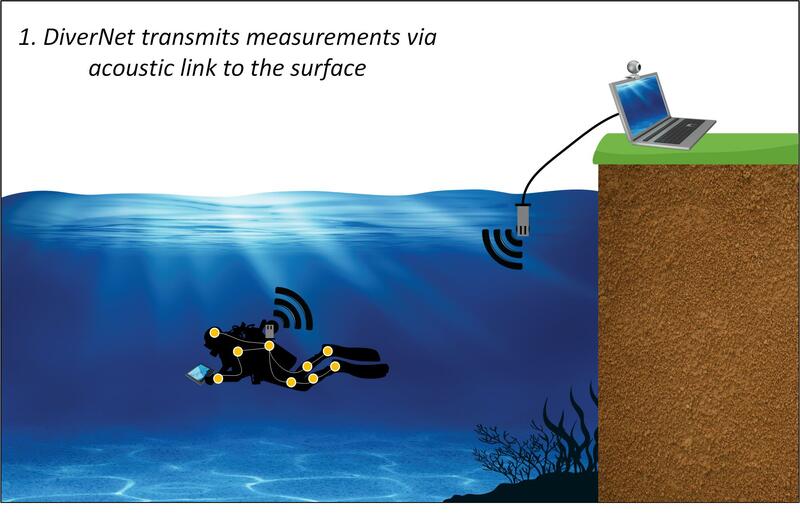 Experiment 5 – DiverNet: acquisition and transmission to the surface (via an acoustic link) of relevant diver´s motion and physiological parameters. More on the CADDY trials soon! We are pleased to invite you to attend the EU funded Marine Robotics and Applications (EMRA´15) Workshop that will take place from 18-19 June 2015 at IST, Lisbon, Portugal. Following the success of the EMRA´14 that took place in 2014 in Italy, we hereby invite researchers and end-users of marine robotics technology to attend EMRA´15. The workshop will summarize current EU FP7 and H2020 projects on marine robotics and provide a platform for marine stakeholders to share and discuss current technological challenges and achievements. To researchers, EMRA´15 will offer the opportunity to disseminate current work and highlight new application areas that warrant further R&D effort. To marine stakeholders, EMRA2015 will allow for an open and vibrant interchange of ideas and trigger the emergence of novel approaches to meet future challenges in ocean OCEAN exploration and exploitation. There will be presentations of 11 EC funded projects, as well as 10 invited lectures by a number of experts from the academia, research institutes, and the industry. Yesterday in the morning we had the opportunity to test the new SEATRAC modems manufactured by Blueprint Subsea and developed with our friends and partners from the University of New Castle. At a first look the modems & USBL worked quite well and the results seem to be good. This will be further analysed in more detail by post-processing the data acquired. These trials were conducted in the scope of the CADDY project. In the afternoon we launched the vehicles again in the water for tests in the scope of the MORPH project. We tested the latest upgrades to the formation control of the lower segment of the formation. it worked pretty well including the formation transformations resulting from applying the “MORPH formation roll” operator. ISR involved in a collaboration protocol between IST and ADM on marine technologies. The agreement between and IST and ADM aims to foster research and educational activities in the area of innovative technologies with applications in the marine environment. One of the key activities to be pursued under the umbrella of this cooperation agreement is the develoment and operation of a new, innovative, civilian reserarch vessel with two distinctive features: the capability to operate in the polar regions, and sail propulsion. The project counts with the participation of a large number of instutions in Portugal and involves researchers from the ISR/IST/LARSyS. Here is our latest video promoting formation keeping and path following control for DIVE GUIDE missions within the scope of CADDY project.